Paneer, if you are unfamiliar with the name, is an Indian version of cottage cheese wherein milk is coagulated with an acid (typically lemon juice or vinegar) and then pressed with weights to form a solid block, which is then generally cut into cubes. ‘Palak’ is simple the Hindi name for spinach, which, in this case, is pureed to form the sauce. As you can see, the product, once opened, is not quite as pretty as the picture on the package, but it does have a lovely aroma. I have emptied the contents of the inner packet into a micro-waveable container because, as I have learnt from past experience, the contents are darned difficult to handle if you cook them inside the packet as directed. 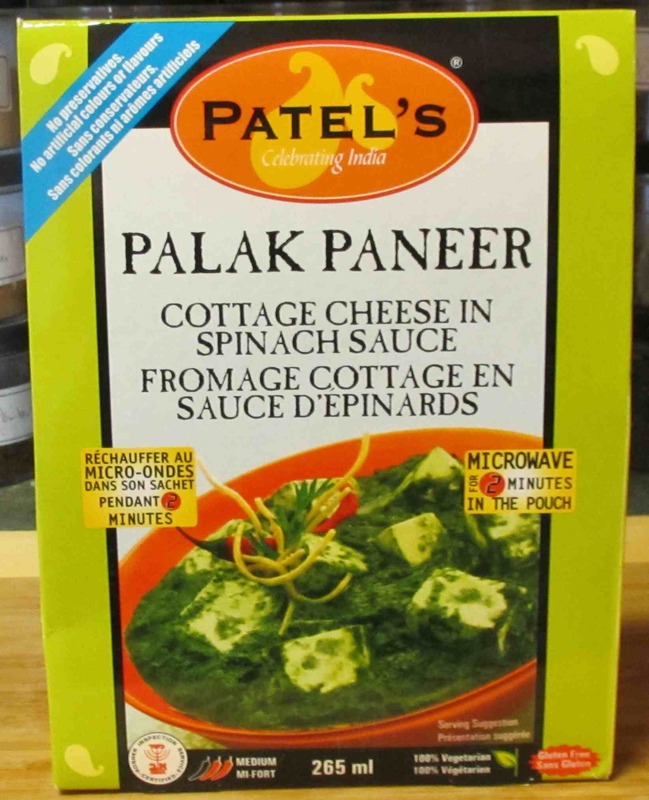 Unlike many Indian food products, Patel’s actually lists the ingredients in full rather than simple specifying ‘Spices’. Paneer, especially when cooked with peas, is often cooked in a tomato-based sauce and the listing of tomatoes as an ingredient in this recipe is a bit of surprise. The use of Star Anise is also rather unusual and not commonly seen in Indian recipes but the rest of the spice blend is pretty decent and it would be interesting to try and reproduce the sauce sometime. 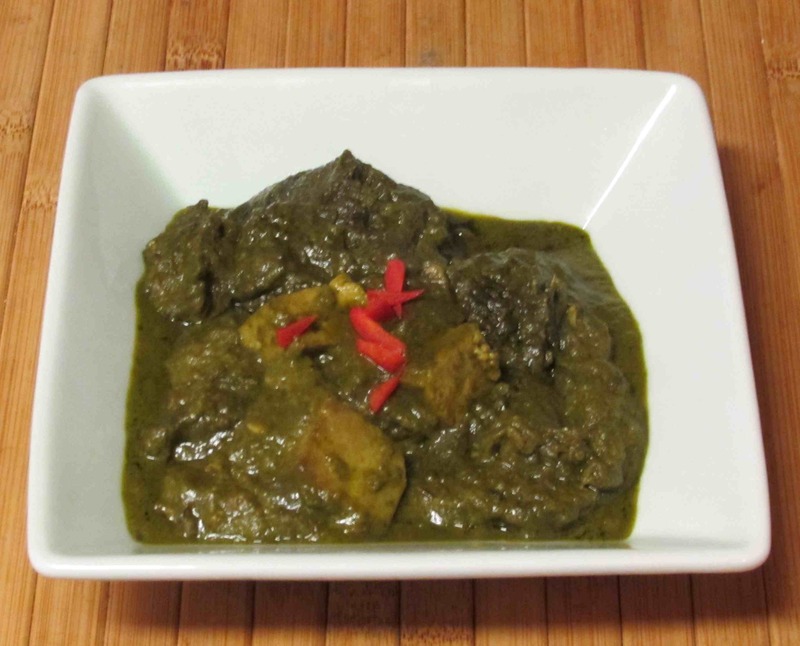 Palak Paneer is my favorite Indian dish ever! One of my favourite Indian dishes! I have only tried the packet type once out of interest and like you thought it was a bit on the mean side with the Paneer… Much prefer to make my own and fresh Paneer cheese is easily available nowadays in our local supermarket so just waiting now until I have a glut of spinach in the garden then I too will be making batches of it to store in the freezer-yum! It has usually been my wife who has made fresh paneer in our house but I think I may give it a try. 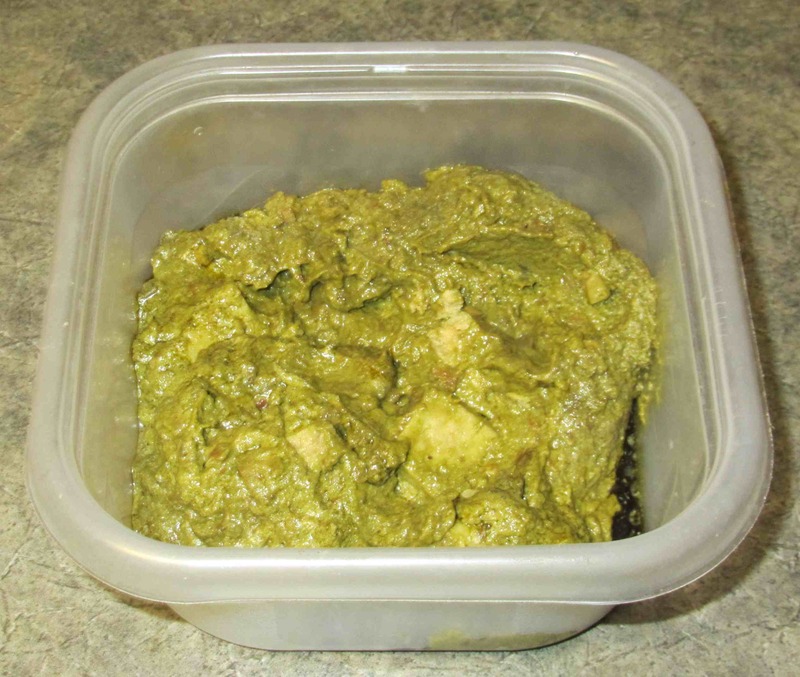 I made palak paneer for the first time this year using one of Tahmina’s recipes from her blog Kolpona Cuisine. It was amazing! Definitely better than anything I have ever had! I read that post too … I’m going to be trying paneer myself soon (my wife does an excellent job already).